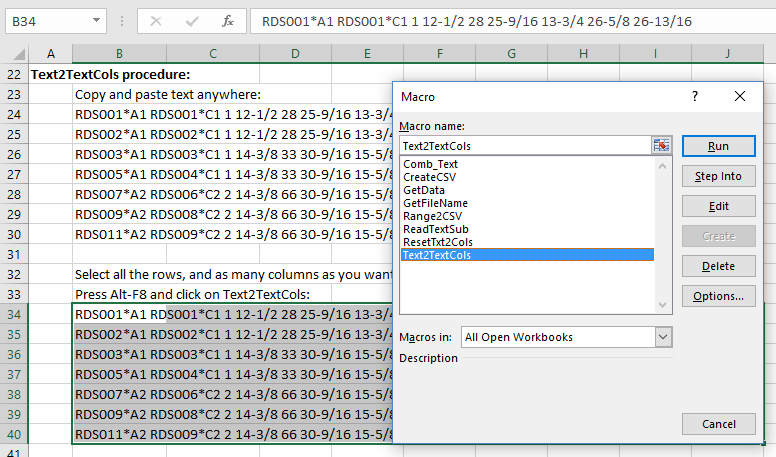 The ResetTxt2Cols macro is for use when the Excel Text to Columns wizard has been used, and you want to paste text copied from external files into a single column. To run press Alt-F8, select ResetTxt2Cols, and click run. Separate defines the separator to add between cell contents (default a single space). IgnoreBlank ignores blank cells if set to true. 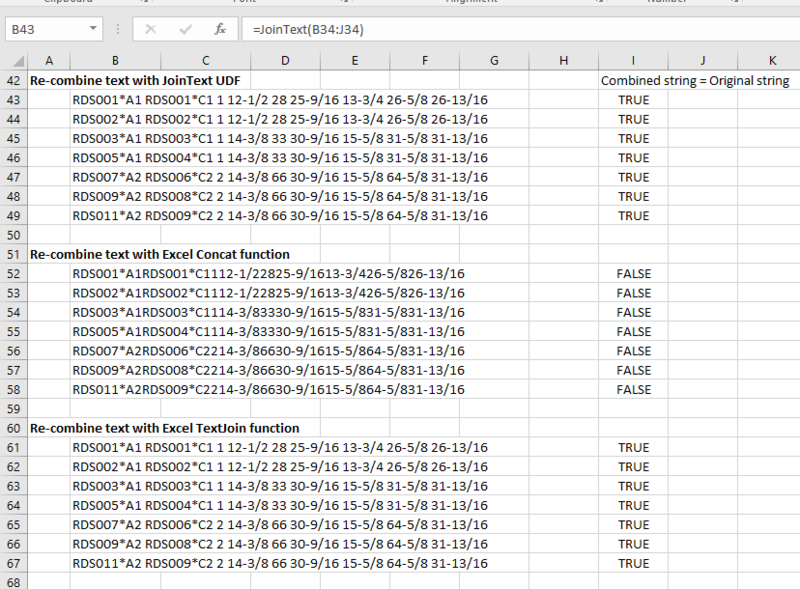 It will work in any version of Excel that supports VBA. The Separate and IgnoreBlank arguments are optional, simplifying use when the default values are to be used. 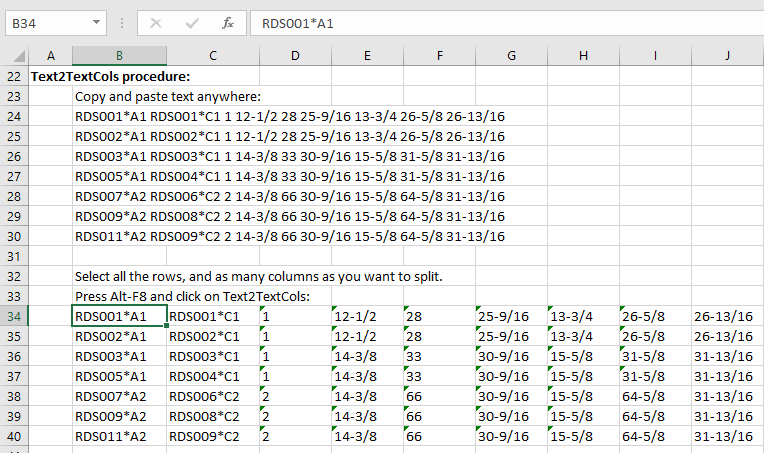 This entry was posted in Excel, UDFs, VBA and tagged Concat, Concatenation, Excel, JoinText, text to columns, TextJoin, UDF, VBA. Bookmark the permalink.